Mr. Vikaas Gutgutia, Founder & MD, Ferns N Petals was invited to be the Guest of Honour & Keynote Speaker at Entrepreneurship Summit 2013 on 19th October 2013 at Pragati Maidan, New Delhi. 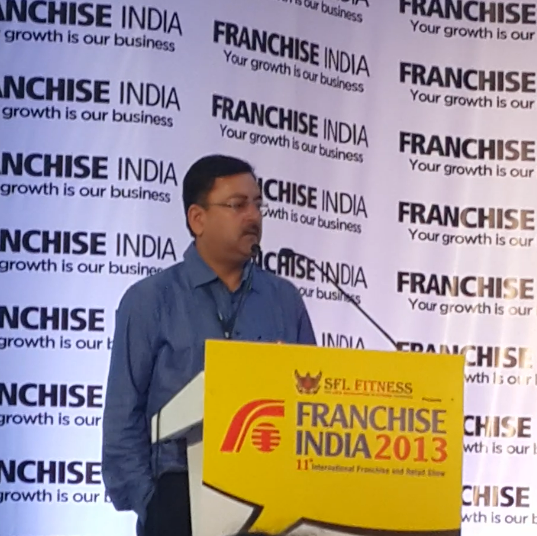 The Objective of the session was to educate people who want to evaluate investment as a franchisee and what they should know in terms of trends, hot sectors, expected returns, their growth prospects and franchisor-franchisee equation in terms of franchise experience. The dais was also shared by renowned personalities like Mr. Javed Habib, Chairman, Javed Habib Hair & Beauty Ltd. , Mr Chandrashekar, DP, COO, JGI Group, Dr. Om Manchanda, CEO, Dr. Lal Path Labs, Dr. Mahesh Gupta, Chairman & MD, Kent RO and Ms. Pushpa Bector, Sr. Vice-President, DLF Malls India.